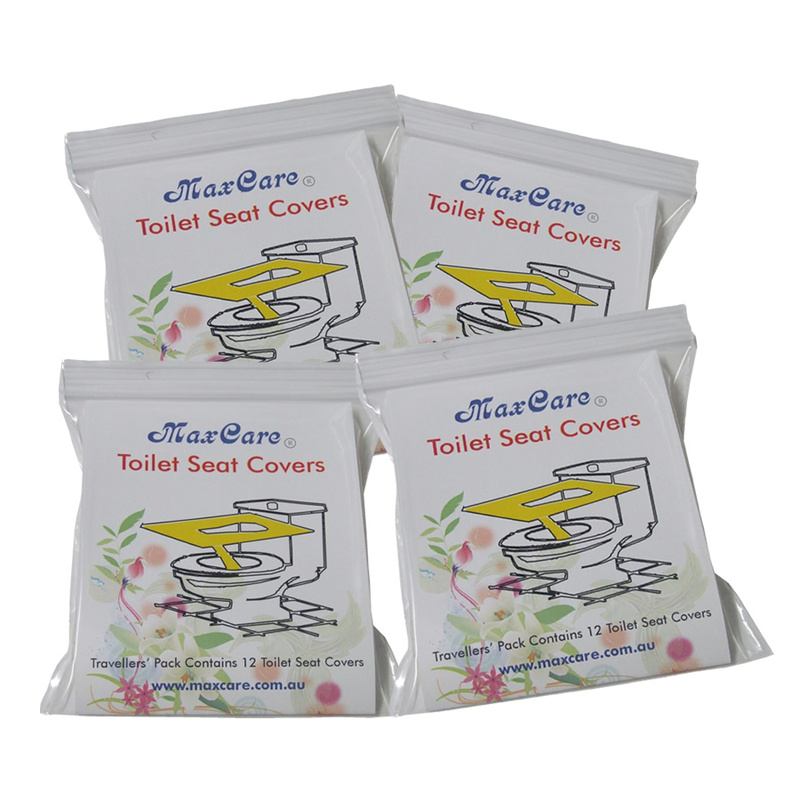 4 x12pk, a total of 48pcs of toilet seat covers. MaxCare Travel Pack Toilet Seat Cover 4 x 12 pk, total of 48 pcs toilet seat covers. Planning a family day out? Going away for the weekend? Take this with you and have peace of mind when you use the public restroom.